BodyBuilding is a professionally crafted WordPress theme suitable for many kinds of sports websites due to its neutral multipurpose look. It features a sticky dropdown menu, cutting-edge parallax effect, hover animations and many other visual improvements. This theme comes with an integrated Google Map, which will help your visitors with finding your brick-and-mortar store, office or warehouse. BodyBuilding has a clean design featured by modern display fonts, abundance of high-res images and CSS-based visual effects. Wow, incredibly! This awesome fitness and gym theme in Theme Forest Marketplace have more than 2,080+ sales! Symetrio theme was created to support fitness and sport industry. 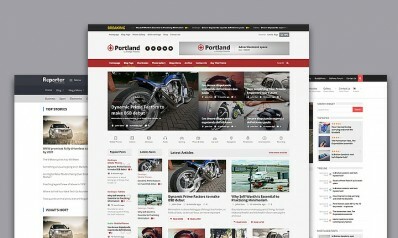 Fintesys is a clean and sleek responsive WordPress theme for sport-related blogs and magazines. It is compatible with the GPL license, mobile-friendly and optimized for search engines. Its well chosen color palette provides great readability and a professional look of your website. This theme offers a choice of several blog layouts (list, masonry and grid), footer and header views and sidebar positions, and also a variety of post types. Thanks to the inclusion of Google Fonts you can fine-tune the typography of your website by choosing from 800+ web-friendly typefaces for body text, titles, menus and widgets. FightClub is a professional and flexible WordPress theme suitable for all kinds of sport related websites. Lot of demo home pages allows you to made beautiful and stylish home page for fitness, cross-fit, sport club, yoga, dance, aerobic, bodybuilding etc. FightClub theme is responsive, retina ready and build with WooCommerce plugin integration. This theme has all you need! Sports Club a simple, responsive WordPress theme build with CSS3, jQuery and HTML5 clean code and wonderful support. This theme will be ideal for any kind sport activity. Fit & Fab is a fully responsive WordPress theme build on modern Bootstrap framework. Theme is perfectly suitable for - cross-fit, fitness, gym, aerobic, dance, health, spa centers, sport trainers and even for e-commerce and business web site. With a powerful WooCommerce plugin, you can easy and fast made your online store. Fit & Fab is wonderful WordPress theme. Ironfit is a beautiful stylish, dark design theme for fitness and sport industry. Theme is specially made for cross-fit, gym, fitness, aerobic, dance, personal trainers, spa centers and even for health and sport related business. With integrate WooCommerce plugin you can easy build your online sport store. If you are looking for fitness, gym, sport club, personal trainer, yoga class, spa home page, then Crossfit - fully responsive WordPress theme will fit you like a puzzle piece! Themes installation will be super easy with detailed and thorough documentation. We are sure you will do that without problems. Just try Crossfit fitness theme today and feel the power! BnB is a light, carefully crafted theme suitable for health, fitness and yoga, dance, aerobic etc. web sites. Thankfully a light and womanly design this theme can be use for SPA and beauty salons. Sport - a beautiful, modern professional looking fitness and health one - page WordPress theme. This theme will be perfect for gyms, yoga classes, SPA, health centers and even for sport business. Everything you need is here and waiting for you. This Sport theme is modern and have all popular features what you need for your super stylish fitness, gym or health web site! Beautiful and modern dark design WordPress theme specially suitable for fitness related web sites. Theme is made with many homepage demos which you can use for your web site design. This Priority WordPress fitness theme is awesome! Whistle theme is suitable for fitness centers, gym and any kind sport related business web sites. Whistle WordPress theme is so versatile and it can easily encompass other types of business as well. Meridian Fitness is a light, elegant, responsive WordPress theme for gyms, aerobic yoga studios, cross-fit and fitness related websites. Theme design is well crafted with attention to details and the code is clean and well organized. Fitness - a modern, light and professional WordPress theme specially build for sport, gym, health, fitness, yoga and even for e-commerce web site. Theme is fully responsive, WooCommerce optimized and build with all popular features. Do not worry if you don''t have coding skills - this Fitness WordPress theme is build with clean and beginner friendly code. If you are a clean design lower, than this Somnus WordPress theme is right for you! Somnus theme suitable for - pilates, yoga, dance, health centers and fitness studios. With a light and elegant themes design your homepage will look gorgeous! Hey, say hello to Gym! Gym is modern, fresh looking WordPress fitness and sport theme. With this ultra responsive theme you can do anything you want, build any sport or fitness homepage without any coding skills. With Gym WordPress theme you definitely will rock in the internet! Yogastudio has light, modern and minimalist design, theme ideally suitable for any type of fitness, yoga, gyms, pilates, health clubs and dance studios web sites. Theme also can be use for SPA centers, wellness club, recreation center or healthcare clinics. This is modern theme, compatible with Revolution slider, Visual composer, booking calendar etc. A stylish, modern and responsive WordPress Young Fitness theme witch is specially made for fitness, sport, gym, yoga, health, SPA and other purposes. This awesome theme is build on Bootstrap framework - your web site will look fantastic on all screen sizes, from desktop computers to mobile devices. We are sure, this theme is all you need for awesome fitness and health web site! Via WordPress theme is super stylish, dark design fitness, cross- fit, gym, aerobic etc. theme. Theme is fully responsive and will look fantastic on all kind and size mobile devices. This is really fantastic WordPress fitness and gym theme! Triathlon is a simple WordPress theme specially made for fitness websites, gym, aerobic, yoga centers, sports websites etc. Theme is build on modern Bootstrap framework with fully responsive design. This Credence WordPress theme is must have theme in Mojo Marketplace with more than 460 customers. Credence is a modern light and stylish theme, built with creativity and minimalist approach. Theme will be ideal for almost any kind sports, fitness and health related web site. With Credence theme you can easy and fast build internet store using WooCommerce plugin. Find your favorite home page design from 12 homepage demos. GymLife is a modern, fresh look WordPress theme specially designed for gyms, cross-fit, fitness clubs, yoga centers and health centers. GymLife features a 100% responsive layout, made on popular Bootstrap framework, your homepage will look awesome on all devices. GymLife theme is made with special features for gyms such as opening hours, event calendar, classes, trainers, galleries and much more. This beautiful, light and gorgeous WordPress theme is very popular in ThemeForest Marketplace with more than 750+ happy customers. This Yoga Fit theme is specially designed for fitness and yoga and websites, like a yoga studio, pilates classes, yoga meditation, fitness, gym and dance etc. This is awesome theme with all popular features, what you need to build modern fitness and health web site! Training Zone is a modern, professional and multi-purpose WordPress theme that is specially designed to make a beautiful website about- fitness, cross-fit, gym, dancing, boxing, yoga, health clubs, fitness review magazine and sports online store. Theme is responsive and build on modern Bootstrap framework. With Training Zone WordPress theme you will rock in the internet! Sport Center is modern, elegant and carefully crafted WordPress theme which can be used for - cross-fit, yoga, gym, fitness, dancing and for other sport clubs. This WordPress theme has a dark and light design versions. Health Coach is a simple, elegant and modern Health Coaching Business WordPress theme! With more than 890+ customers in Theme Forest marketplace. This theme provide all what health coach need to present him or herself and his or her program for healthy life. If you are a Health Coach, personal trainer or you just want to show your personality then this theme is right for you! Maxx Fitness is a dark style, modern and creative gym and fitness WordPress theme. Themes modern design is perfect to create a beautiful website for your sport and fitness business without any codding skills. InstaAppointment - a 100% responsive Booking WordPress theme, can be use for personal trainers because InstaAppointment have booking feature. GYM is a creative and professional WordPress theme perfect fit for - fitness, crosfit sport clubs, personal trainers, fitness centers, sport magazines and blogs. This is premium WordPress theme with all popular features like a - responsive design, WooCommerce, WPML, Visual composer etc. Xtreme Sports WordPress theme is a favorite in Theme Forest Marketplace with 380+ sales. Xtreme Sports theme is a creative, modern and fully responsive ideal theme for any kind of sports website - extreme sports, fitness club or sports, e-commerce online shop. Thankfully popular WooCommerce plugin you can easy build your online shop, without any coding skills. Woow, this theme is awesome! Champ is a stylish, unique design WordPress theme that can be used for beautiful fitness, gym, sport, yoga, health website. Champ fitness theme comes with Visual Composer plugin with front-end and back end editor included. With this drag and drop layout builder you can made the content on your page. With one click install you will be surprised how easy is to setup your website layout. Be champion with Champ WordPress theme! Vigor is a gym, cross-fit, yoga, dance and fitness WordPress theme. Theme is build with modern, clean code and everything from header to the footer can be adapt to your individual design and personality, without any coding. 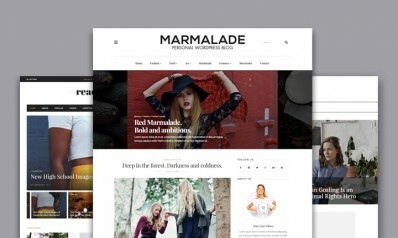 Woow, this is must have theme with more than 860+ sales in Theme Forest Marketplace. Asana is a clean, elegant and modern WordPress theme specially suitable for any type of sport and yoga, dance studios, health, gyms, sport clubs and a lot more. Asana theme is created using modern and popular HTML5 and CSS3 code and theme is 100% responsive. Yogy a light, elegant and clean design WordPress theme, can be good choose for yoga, wellness, pilates, beauty and health web sites. Theme is carefully crafted with attention to details. Yogy is popular theme with 750+ sales in ThemeForest Marketplace, be one of them today. Launchkit - beautiful, light and modern WordPress theme for any kind sport related web site or sport shop. This theme is build with all popular features, what you need to made your homepage. 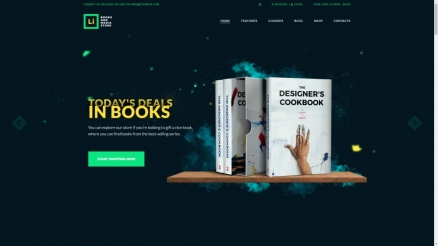 This is the "MUST HAVE"theme with 1,100+ sales in Theme Forest Marketplace! Entrepreneur is a beautiful modern and responsive WordPress Theme for fitness or personal trainers. 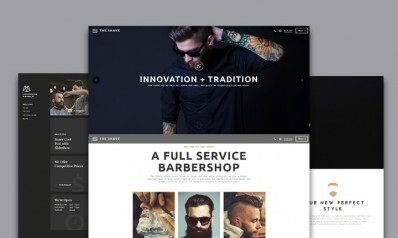 With this modern and fresh look theme your website will look gorgeous. This awesome theme rock in the Theme-Forest Marketplace with more than 1400+ happy customers! ENERGY is a modern, fresh look WordPress Theme designed for gyms, fitness, trainers, yoga classes, and professional sport bloggers. This WordPress comes with a all popular and awesome features like a events calendar, staff member system etc.